Everybody loves free music right? 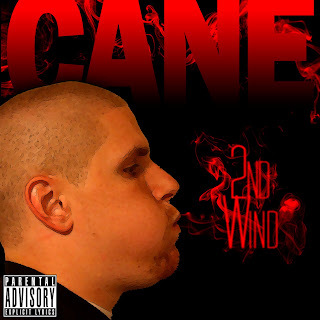 Here is some free music from Virginia based emcee Cane. The mixtape, entitled 2nd Wind, gives the audience a chance to admire the talents and versatility of the featured artist (Cane). Second wind is a phenomenon in distance running, such as marathons or road running (as well as other sports), whereby an athlete who is too out of breath and tired to continue suddenly finds the strength to press on at top performance with less exertion (Wikipedia, 2010) . The phenomenon has come to be used as a metaphor for continuing on with renewed energy past the point thought to be one's prime, whether in other sports, careers, or life in general (Steinberg, 2007) . The previous sentence pretty much sums up the listening experience regarding this project (enjoyable). Those who are familiar with the artist's first project Cane Is The Name will notice growth and a penchant for creativity. Take the time out of your busy schedule and download some free music.